A throwback to school jotter sketches of everlasting love! 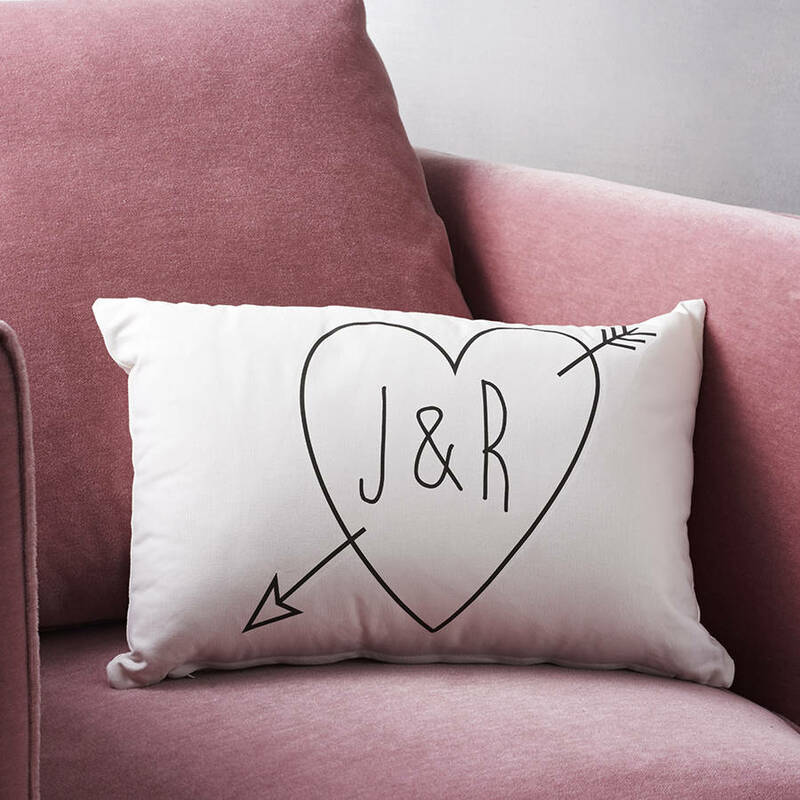 This cushion can be personalised as shown to include the initals of any happy couple, encased in a sketched heart with Cupid's bow. 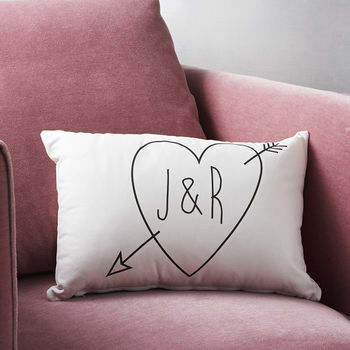 The relaxed, sketchy font is perfect for a young couple and would make an ideal Valentine's Day, engagement, wedding or anniversary gift. 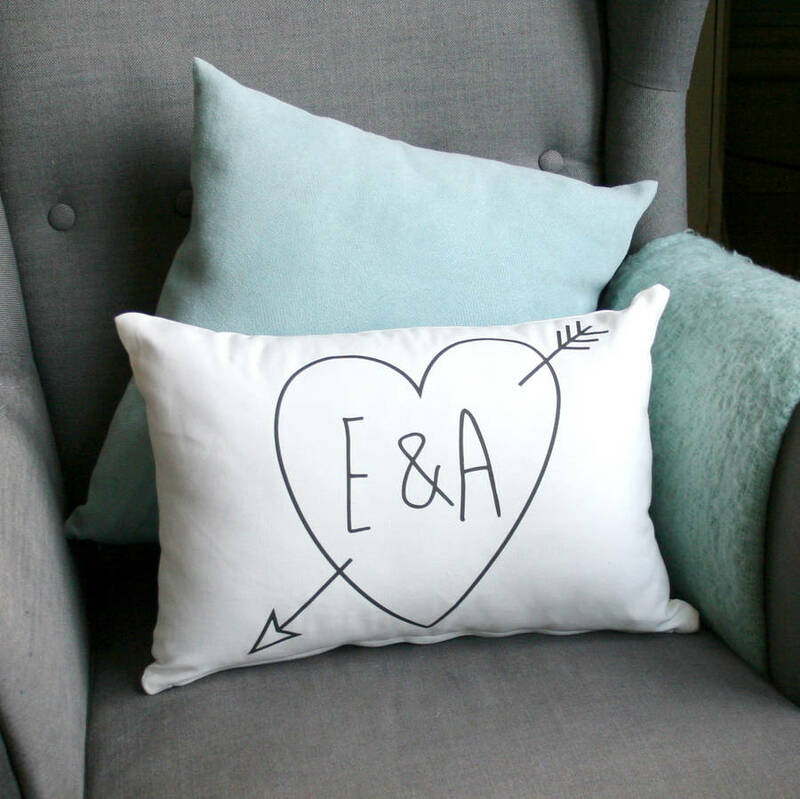 This cute cushion will look great on any sofa or bed. 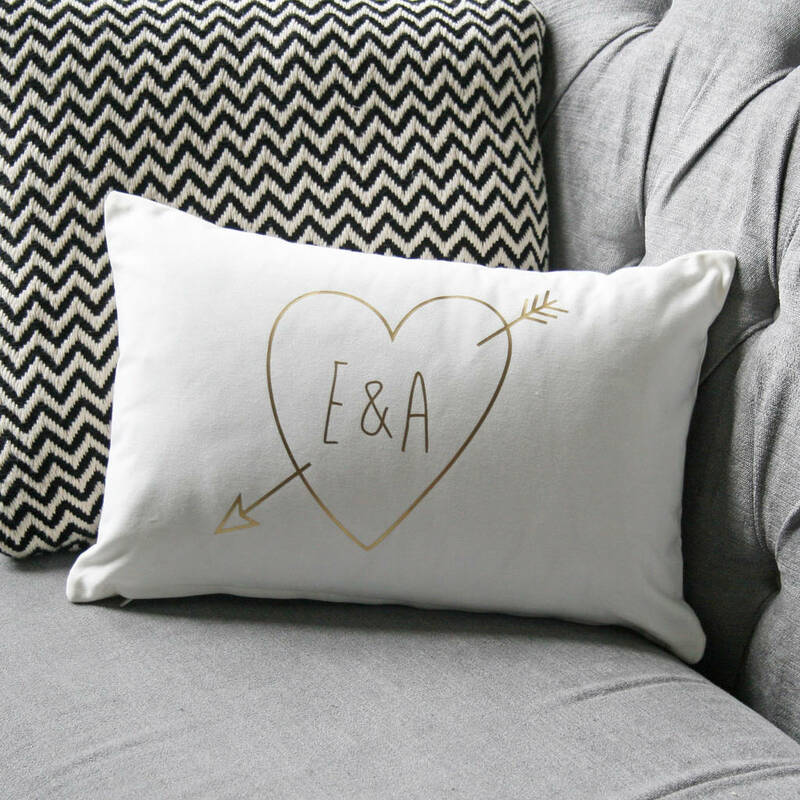 Cushion available in white, with either black or gold lettering, and includes plump hollowfibre inner. Designed and printed in the UK. All cushions are made from 100% cotton with a zip fastening.